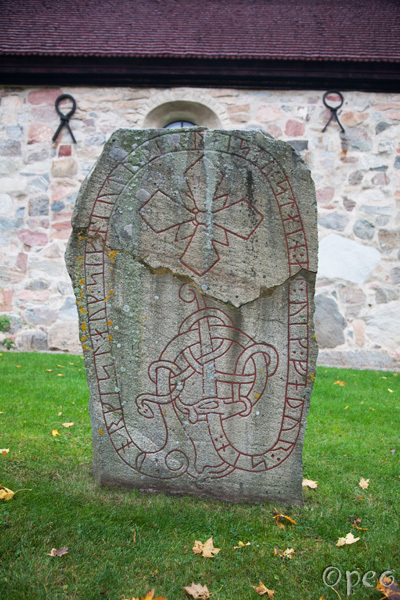 There are five rune stones standing in the churchyard of Lovö church, west of Stockholm. Þorgísl and Signjótr, they raised the stone in memory of Vígr, their father. 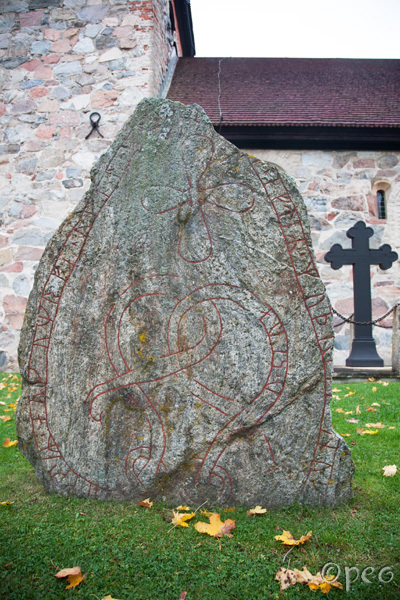 This rune stone is in a very good shape, with a beautiful serpant and cross on it.